www.StopKnifeCrime.UK - Carry a pen not a knife! www.StopKnifeCrime.UK- Carry a pen not a knife! Maswood Ahmed attends MOPAC Knife Crime Strategy Stakeholder Meeting. Sophie Linden, Deputy Mayor for Policing and Crime in London invited the www.stopknifecrime.uk Campaign coordinator to the London Mayor's Knife Crime Strategy Stakeholder Meeting held on 25 May 2017.
is a campaign launched following the death of Syed Jamanoor Islam, a 20 years old man, from Mile End, Tower Hamlets. He died on 11th April 2017. Syed Jamanoor Islam, 20, was stabbed to death in Mile End on 11 April 2017. The business student was out with friends when they were confronted by a group of men in Wager Street. Police were called to the scene at around 4.46pm and he was pronounced dead at hospital just after 5.30pm. A post-mortem confirmed the cause of death was a stab wound. Detectives arrested four men aged between 15 and 18 on suspicion of murder. They are due to stand trial at the Old Bailey on 9 October 2017. The Met's Homicide and Major Crime Command are investigating under Detective Chief Inspector Tony Lynes. DCI Lynes said: "We are keen to speak to anyone who was in the area at that time and might have seen what happened or who has any information about the circumstances." Anyone who can help is asked to contact the incident room on 020 8721 4868 or via @MetCC. "The safety of all Londoners is my first priority, and our city is one of the safest in the world thanks to the hard work and dedication of our police officers. But I want it to be even safer. I want every Londoner, regardless of age or background, to have trust and confidence in their local officers and feel that their local concerns are being met, whoever they are and wherever they live." The teenager was stabbed following a fight on a route 64 bus. Working together, we can make a bigger difference than working in isolation. We’re going to keep listening and talking throughout the life of this Plan, harnessing the skills, experience, insights and motivation of the many thousands of great people working day in and day out to keep London safe. Thousands of mourners gathered to paid their respects to Syed Jamanoor Islam who was stabbed to death in Mile End. The 20-year-old who was stabbed and attacked by a group of men in Wagner Street on April 11, was remembered by family friends, community leaders, police, councillors and members of the Muslim community at the East London Mosque, in Whitechapel. The crowds followed the hursts to the Gardens of Peace Muslim Cemetery in Elmbridge Road, Hainault to lay the former Swanlea Secondary School and Tower Hamlets College business student to rest. Hundreds gathered round to help bury Syed by each throwing a handful of soil into his grave and stood round to pray for him and his family. Father, Syed Abdul Mukit, added: “I do not want other parents to go through what we as parents are going through. “We must stop this senseless killing. The family have started a campaign, Stop Knife Crime, to stop youths carrying knives and want parents to be more involved in their children’s activities. Campaign co-ordinator, Maswood Ahmed, said: “Every life lost is a tragedy and it leaves families and friends devastated. Three teenagers have since been charged in connection with his death. Visit stopknifecrime.uk for more on the campaign. This website is under construction. We will provide links to relevant media resources to raise wider awareness about the effect of knife crime in the UK. If you know of individuals affected by knife crime and would like help and support please contact us for help. Syed Jamanoor Islam, a 20 year old man from Mile End was murdered on Tuesday 14th April 2017, the suspects are in custody. This took place in broad daylight in front of his mother, near his home, in Tower Hamlets. Educate community – Schools & Civil centres. Posters on bill boards “dangers of knife” and consequences. Sign a petition for Mayor of London for a dedicated program to stop knife crime. Review & Promote neighbourhood watch programs. Work with Police to empower the police the ability to search for knives. Carrying a knife should be treated just like carrying a gun. 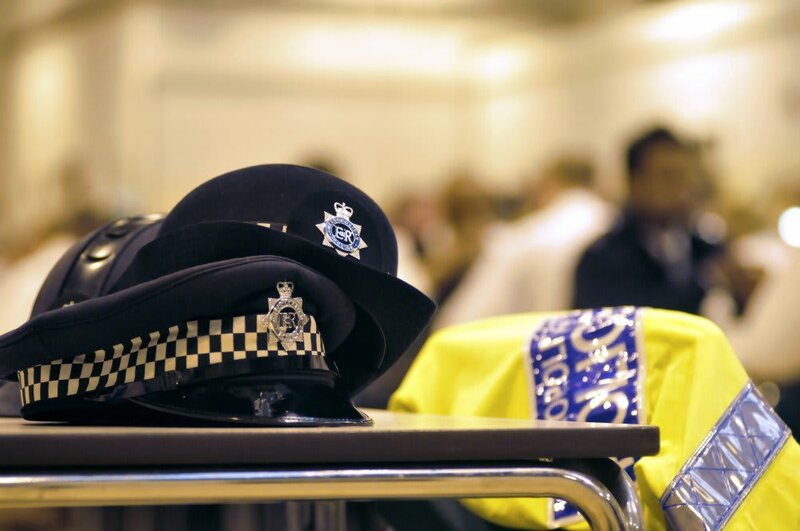 A murder investigation has been launched following the death of a woman at an address in Mile End. Police were called by the London Ambulance Service (LAS) shortly before 23:00hrs on Thursday, 4 May to a residential address on Dora Street, E14 following reports of several people suffering from stab injuries. Officers, LAS and London's Air Ambulance attended and immediately provided first aid. A 20-year-old woman [Victim 1] was pronounced dead at the scene at around 23:40hrs. Next of kin have been informed. Whilst detectives believe they know who the deceased is they await a formal identification. Two other people - a 42-year-old woman [Victim 2] and 24-year-old man [Victim 3] - were taken to an east London hospital. Their injuries are described as not life-threatening and have since been discharged. There two other uninjured parties at the address. The suspect fled the scene prior to police arrival. At this early stage it is understood all parties are known to each other. Any with any information is urged to contact the incident room on 020 8345 3734, or police via 101 or by tweeting @MetCC. There have been no arrests at this stage and enquiries continue. 16 Apr 2017 - The father of one of three young men stabbed to death on London's ... Syed Jamanoor Islam, 20, was stabbed to death in the street after a row. 18 Apr 2017 - A man and two boys have been charged with the murder of a ... Syed Jamanoor Islam died after he was stabbed in Wagner Street last Tuesday. 12 Apr 2017 - A 20-year-old man stabbed to death in Mile End has been named locally as Syed Jamanoor Islam. 17 Apr 2017 - Nayeem Chowdhury, 18, and two other youths will appear in court on Tuesday over the stabbing of Syed Jamanoor Islam. 18 Apr 2017 - Syed Islam, 20, was stabbed to death last week. ... for legal reasons, is accused of stabbing Syed Jamanoor Islam to death last Tuesday. 13 Apr 2017 - The murder victim has been named as Syed Jamanoor Islam (Photo: ... Police launch murder investigation into fatal stabbing in Mile End. Walthamstow stabbing victim was at anti-knife crime rally hours earlier. Published: 9 May ... Peckham stabbing is sixth knife crime death in London in a week. What counts as knife crime? What can be classed as an offensive weapon? Is there a “safe” place you can be stabbed? Check out the facts. The father of a teenager who was left blind and unable to speak after being stabbed has spoken of the “insanity” of the knife crime epidemic in London. You visited this page on 16/05/17. Get the latest Knife Crime news in the London region on ITV News. Videos, stories and updates.